Music's Biggest Night, the 55th Annual Grammy Awards, will return to Staples Center in Los Angeles on Sunday, Feb. 10, 2013, and will air live on the CBS Television Network from 8–11:30 p.m. (ET/PT). Additionally, "The Grammy Nominations Concert Live!!. Countdown to Music's biggest night" which officially kicks off Granny season by revealing nominations in several categories while featuring unique performances with past Grammy winners and/or nominees will air live on CBS Wednesday, Dec. 5 . The eligibility year for the 55th Annual GRAMMY Awards is Oct. 1, 2011, to Sept. 30, 2012.This year's Grammy broadcast was seen by almost 40 million viewers, making it the second most-watched Grammys in history. 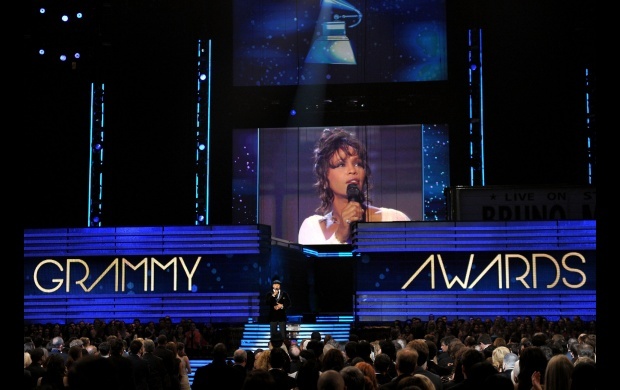 The broadcast was highlighted by Adele's Grammy sweep and a tribute to Whitney Houston, who died a day before the event.